There comes a time in every office when it’s time to fight back against the silliness of middle management. However is fighting over a pair of Thumbtacks the right time? I suppose it might be for some! 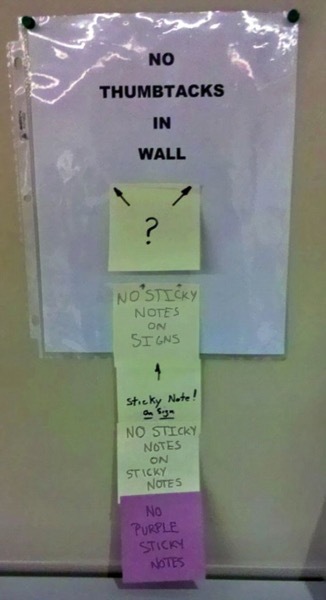 But be warned these sorts of fights do escalate to the use of WMD, well in this case Sticky Notes!